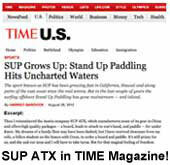 SUP USA Paddleboard Bundle | Model: Doheny | Length: 11'6 | FREE SHIPPING! 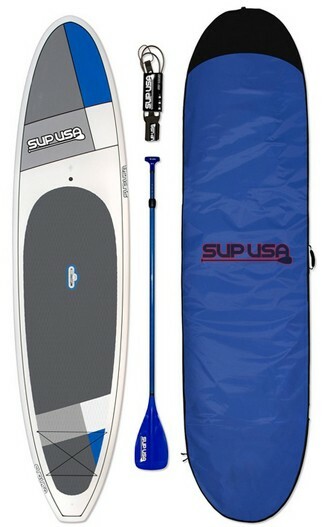 The SUP USA 11’6” Doheny Paddleboard Bundle includes: 11’6” Stand Up Paddleboard, Adjustable Paddle, Board Bag, Ankle Leash, and Removable Fin. The Color-Matched adjustable paddle features a Carbon FIber shaft and a durable molded fiberglass blade. The paddle adjusts from 72" - 88" and with its light 29 Ounce weight, this is a paddle the whole family can use. 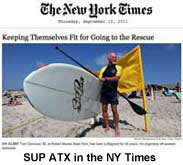 The Patented LiftSUP Handle makes carrying your board very easy. 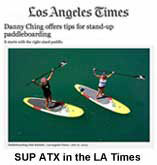 The handle recesses into the deck of your board during paddling or storage. The handle is made from extremely durable glass reinforced polycarbonate allowing it to double as a locking point to deter theft. 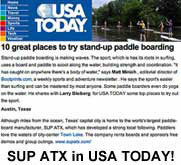 With the SUP USA 11’6” Doheny Paddleboard bundle you have everything you need to hit the water right out of the box! FREE SHIPPING in 48 US Continental States!